The picture includes Nas, Biggie, Redman, Jay-Z, Dr. Dre, DMX, 2Pac, Big L, Puffy, Daz, Snoop, Eazy-E, Bizzy Bone, Layzie Bone, Nate Dogg, The Lady Of Rage, and more. While it is a photoshop, it should be noted that many of these artists ultimately worked together on a variety of different songs, making for an exciting game of hip-hop six-degrees of separation. Puff and Biggie worked together on countless joints. 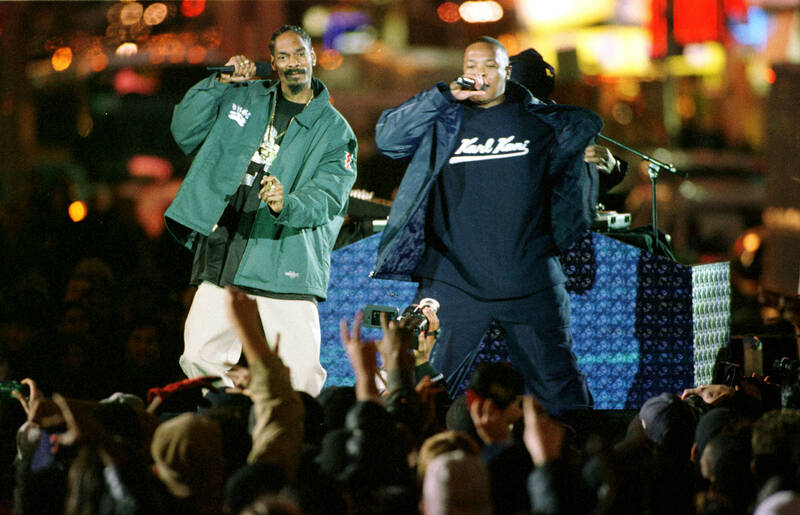 Biggie and Bone Thugs worked on “Notorious Thugs.” Bone Thugs and 2Pac on “Thug Luv.” 2Pac worked with Snoop Dogg and Dre. Dre worked with Jay-Z, who worked with DMX on “Money Cash Hoes.” The list goes on. The picture was enough to excite Dr. Dre, who has personally worked with the majority of the featured artists. “OK…got it now!!! @_vemix_ made this and I love it,” writes Dre, in an uncommon IG post. “This is fuc*in hip hop.” Respect for Visual Remix for bringing this one to life, and to Dr. Dre for giving it the co-sign. It never hurts to channel one’s “old head energy” and pay homage to the forefathers of the genre; looking at all of those artists together is a beautiful thing, and a reminder of a bygone era.